Zorba is the story of a half-English/half-Greek writer, going off to reopen a coal mine in a small village on Crete, left to him by his late father. Along the way he meets a peasant, the titular Zorba, who claims to have been a miner, and can do any job given. The film, then, is the story of how the zesty, lusty, force-of-nature Zorba drags the staid, almost paralyzingly-inassertive Englishman out of his shell. Zorba, the character, and Quinn as Zorba, is hard to dislike – he’s lusty, dynamic, charismatic, and holds the screen with real magnetism. If you think about it, and squint a little bit, you can easily draw a line from him to Vince Vaugh in Wedding Crashers, to Bradley Cooper in The Hangover and Christopher Plummer in Beginners. More than this, he’s also deeply flawed, sometimes hurting those around him with his thoughtlessness and without even trying, particularly the older French woman, Hortense, who he flirts with and romances, then callously ignores. In short, he has all the complications you’ll pay $10 to see. That said, the movie around him is a bit of a mixed bag. For a long stretch, the film plays as something of a romp, with the bolder, freer man (Zorba), trying like hell to kick the Englishman free of his inertia. In that way, this could easily turn into some sort of Ferris Bueller type deal, with Zorba as Ferris, and the Englishman as Cameron. Of course, success at drawing out the Englishmen is what invites tragedy into the film. After spending many days or weeks looking longingly at a widow, and at Zorba’s prodding, the Englishman finally makes his move and spends the night with. Only, this leads to another man, previously spurned by the widow, committing suicide. Which then leads to that man’s father attacking the widow, with the Englishman unable to rouse himself to stop it. When she is finally killed, the Englishman naturally feels guilty, but not so much he involves the authorities. More troubling is that villagers are overwhelmingly apathetic to the death. No surprise, though, that from that death onward the goodwill of the film fades, dribbling away for good once Hortense dies and the villagers abruptly pick her home clean of every one of her possessions – her body is still warm when this begins – lest the government seize it from her non-existent heirs. Nevertheless, while the story is a mixed-bag, its individual parts are wonderful. The cinematography and score are first rate, and the performances are superb, particularly Quinn as the proto-Ferris Bueller Zorba. 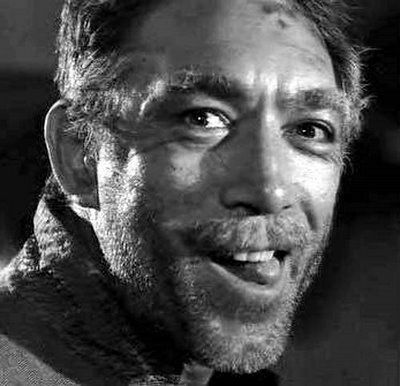 In many ways, Zorba seems the role Quinn was born to play and, if there are any on-screen personas he took on that seem most closely matched to his perceived off-screen persona, you’d be hard-pressed to argue it wasn’t Zorba. Just as wonderful, in a smaller, more-heartbreaking way, is Lila Kedrova. As Hortense she plays the romantic, jilted woman with all the grace, vulnerability and dignity a woman can offer. Better, she not only gets to act her age, and her wrinkles, she also gets a death scene. The role was a veritable field day for the actress and under the circumstances, it’s no surprise she won the Oscar for Best Supporting Actress. As the mostly-ineffectual Englishman, Bates is fine – his part does not cry out for dynamism, and he does not supply it. Still, he’s charming and genial, if a bit milquetoast, which is what he’s supposed to be. The way the villagers pick clean Hortense’s house the moment she dies. 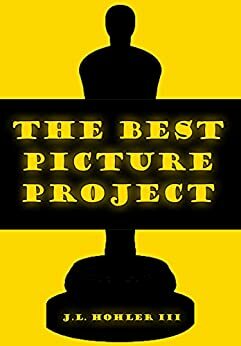 There is little the Greeks do in the film that has a positive ending to it and it wouldn’t be hard to see this film protested if it were made by anybody other than a Greek. Even then, Italian-Americans got bent about the way Coppola and Scorsese portrayed them in The Godfather and Goodfellas, so who knows? Maybe the Greeks got bent, too. 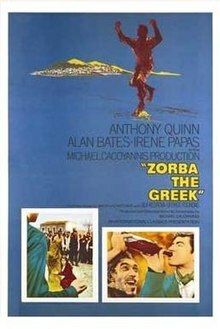 By the time Anthony Quinn was nominated for Best Actor for Zorba, he already had two Oscars for Best Supporting Actor – one for Viva Zapata! (1952) and the other for Lust for Life (1956). If he’d added a win for Zorba the Greek he’d have been just the second person to pick up three acting Oscars – Walter Brennan, who won Best Supporting Actor thrice, was first. That it didn’t happen for Quinn is simultaneously a bit of a travesty, and also completely reasonable. As far as a travesty, the sort of effortlessly charismatic performance he gives is hard to pull off – usually, the boisterous hedonism he displays seems forced, and controlled, when it really should be out-of-control. Quinn, on the other hand, is possessed and almost feral at times, frequently beyond controlling himself, erring just on the side of the fine line between a performance being ‘performed’ and one being simply performed. But, it’s also completely reasonable to think he’d lose because, by 1964 he already had those two Oscars and probably didn’t need a third, even if he wanted it. Besides, when you remember that Rex Harrison gave a delightful performance in My Fair Lady, a movie with its own shortcomings, no different than the shortcomings of Zorba, it’s no stretch to see the race as a toss-up. In the end, it’s difficult to find fault in either man winning, so I won’t. Oscars 1964 was the year of My Fair Lady – for better or worse. In my Best Picture Project entry for 1964 I already declared My Fair Lady no better than the second-best film that year, falling behind the instant-classic, Dr. Strangelove. Now, I’m not here to argue Zorba is better than Strangelove, because I’m not insane. Rather, while Strangelove is still the better film, Zorba is also better than My Fair Lady. So yes, Zorba is better than the Best Picture winner of 1964, but not so much better it’s the actual best film of 1964. Thanks to Nathan Rabin for coining that phrase in the pages of The AV Club. Which I obviously did, several paragraphs ago, when I already made this connections.